Here at Network Solutions of Wisconsin, we strive to provide our loyal clients with the very best in IT service and support. That’s why we are so confident in our customer service that we are willing to back up all of our technology solutions with an unmatched satisfaction guarantee. 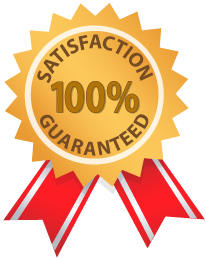 100% money back guarantee – If you aren’t convinced that Network Solutions of Wisconsin provides timely and prompt customer service, hassle-free technology solutions and fair prices, we will reimburse your entire service fee within the first 30 days – with no further obligation. Fast response time – We guarantee rapid response to your computer emergencies in order to minimize costly downtime, so you never have to worry about tracking us down when you need us most. Peace of mind – we guarantee that under almost any circumstance we will be able to detect, diagnose, and prevent any type of network problem from escalating into downtime. In the unlikely event that your network requires cleanup or repair, we will do everything necessary to restore your network back to full speed at no additional cost.